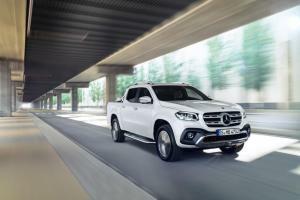 Prices for the new V6-powered Mercedes-Benz X-Class pick-up have been announced, and they’re pretty chunky. Mercedes knows a thing or two about premium utility vehicles, having spent the last 40 years fettling their utilitarian G-Wagon. 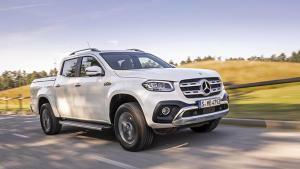 Now the company is hoping to have a similar effect on the pick-up market with the new Mercedes-Benz X-Class. They're even calling it the first 'premium' pick-up. 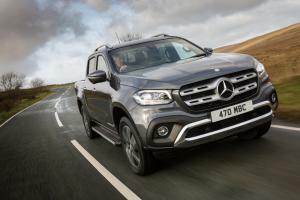 The new Mercedes-Benz X-Class pickup is available to order now priced from £27,310 ex. VAT (£32,772 inc. VAT), with first deliveries expected in January 2018. 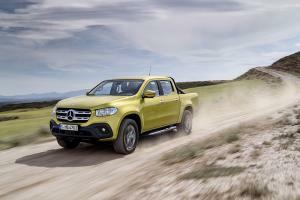 Mercedes has revealed the production version of its new X-Class pickup - its first appearance in this segment - following the reveal of X-Class concept late last year. 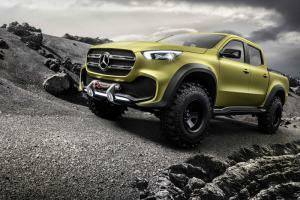 Today, Mercedes-Benz unveiled its new Concept X-Class, offering a preview of the design of its forthcoming pickup model that's expected to arrive in production form in late 2017.